KC’s LZR Series of high performance LED lights represents the latest advancements in Light Emitting Diode lighting technology. 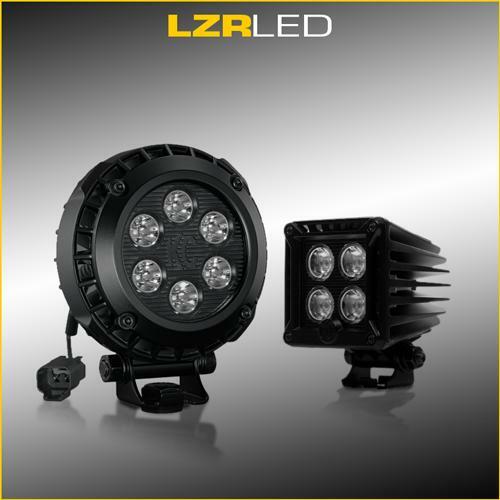 KC LZRs operate on 9 to 32 volts and project an extremely even distribution of light. A key feature of KC LZRs is the super long life span of the LEDs, lasting up to 50,000 hours. Plus, they are incredibly resistant to shock and vibration.